A Loan Saver application that reveals savings in converting to a Belvoir Federal Credit Union loan has already attracted several refis. In most cases, credit unions members prefer instant gratification from services over spending time making phone calls or going into branches, says Belvoir Federal Credit Union’s public relations and e-marketing specialist Amy Shanks. With that in mind, the Woodbridge, VA,-based credit union ($277.5M) launched an online tool called Loan Saver that allows users to quickly calculate potential savings they’d get if they transferred their auto loan, personal loans, HELOCs, or credit cards to Belvoir. Belvoir, the 20th-largest credit union in Virginia by assets, reported an average loan balance of $17,511 as of the second quarter 2011, according to Callahan & Associates data. Loan Saver was developed by Code Green LLC, based Gaithersburg, MD, which Belvoir uses for programming, and pushed out in three stages, starting with Belvoir’s web hunt promotion which ran through April and May. The web hunt encouraged members to find online puzzle pieces by searching through Belvoir’s product landing pages. With all the pieces, visitors find a phrase to enter in the co-op’s Facebook site for a chance to win prizes. First, the Loan Saver was embedded in the checking, auto loan and other product landing pages. Eventually it received its own page and then, thirdly, Belvoir added a banner ad to attract visitors from the main page. 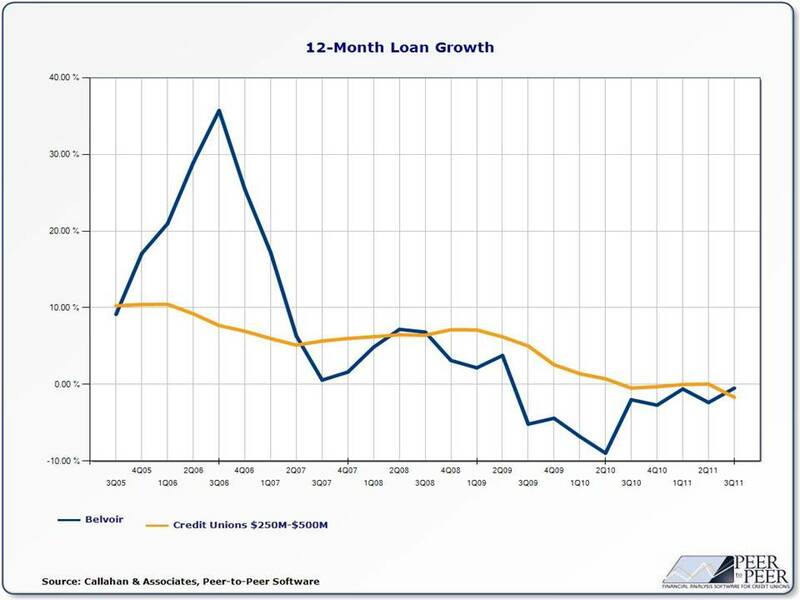 In its first month, April, the Loan Saver projected more than $31,000 for members that viewed the tool. Four viewers submitted their results to Belvoir to secure the savings, resulting in $70,000 in loans that month. From April through October, more than 1,700 visitors interacted with Loan Saver and the credit union received 23 lead submissions, landing a total of $130,000 in loans, most of which were auto loans, and saving one member nearly $9,000. Shanks said the loans the credit union has issued have more than paid for the cost of the tool, though she declined to detail the expense.